We all know simple toys bring the most joy and this charming paper family is such a delight. Great for imaginative play and an inspiration for budding fashion designers. Come on through and meet the family! These beautiful figures are illustrated by the talented Àfrica Fanlo who mixes muted and bold colours to create vibrant characters. The Paper Family certainly have character. 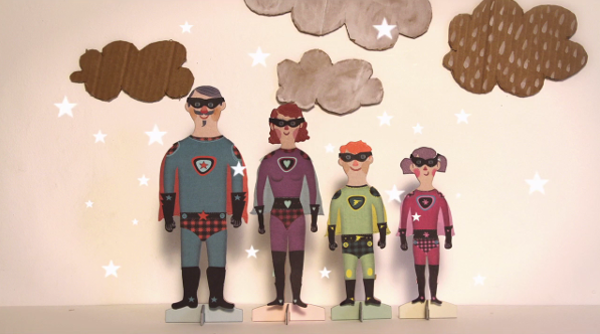 The family of four comes with twenty paper outfits and accessories including a superhero set. Not your average family, then. But the real creative fun comes when kids get to imagine the stories for the Paper Family and dream up adventures for them. Plus, they don’t have to wear only the clothes they came with. Some paper and pencils are all that’s needed to design whole new outfits and, with them, new stories, new adventures. Don’t be too surprised if you find yourself down on the floor with the kids because this type of unbridled creation can be addictively fun. 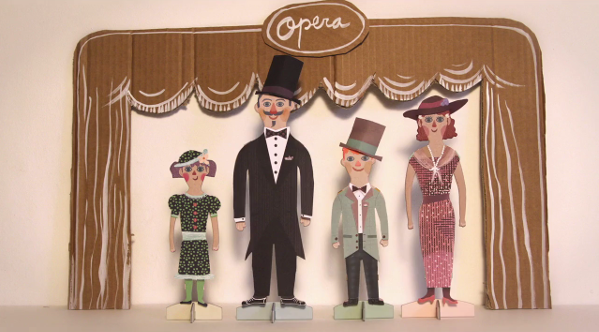 Each figure in the Paper Family is made from recycled cardboard and paper by Spanish brand Londji. You can get the set for just €18 plus shipping at Smallable which delivers worldwide.